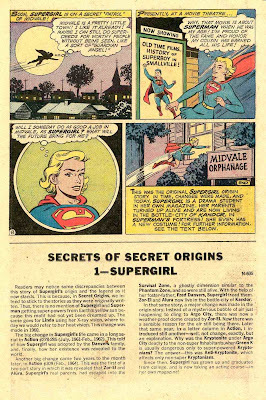 Supergirl: The Maiden of Might: Secret Origins v1 #2: "The Supergirl From Krypton!" 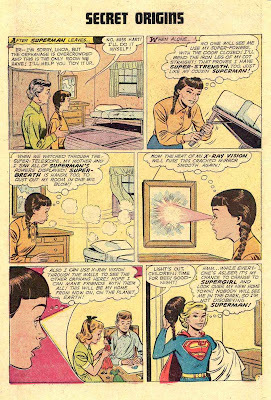 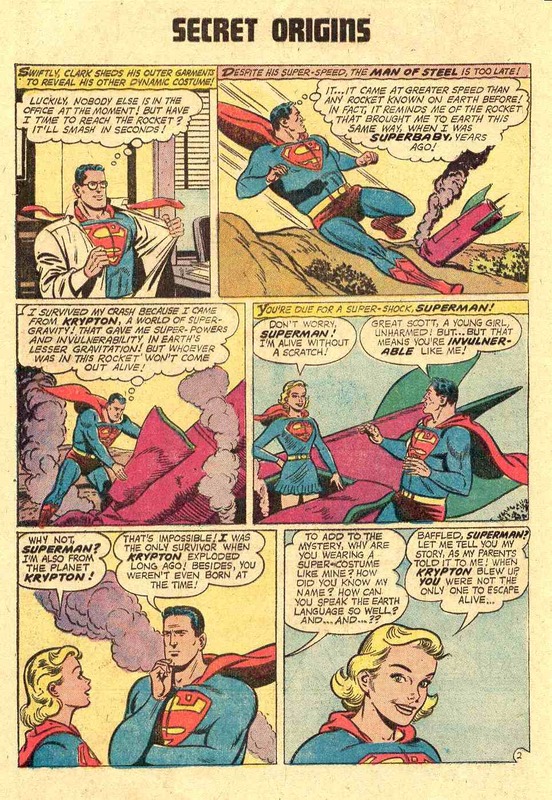 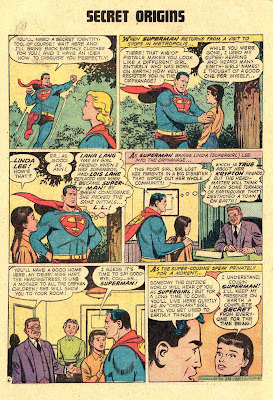 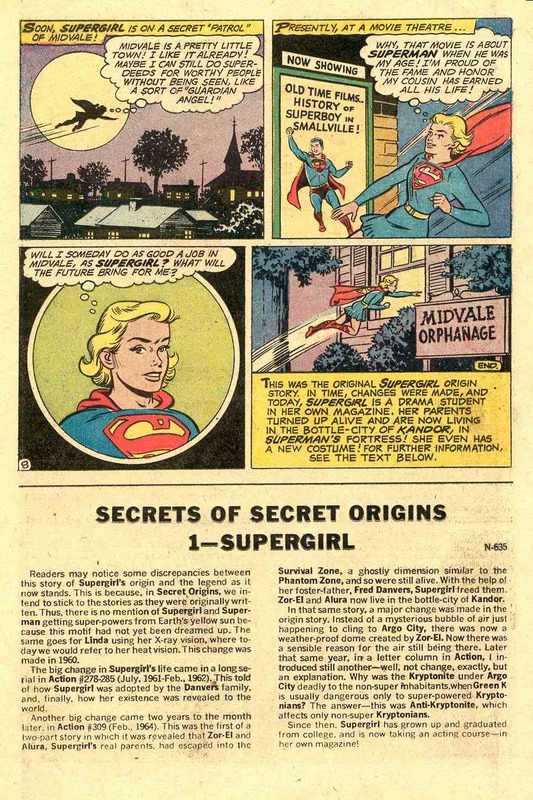 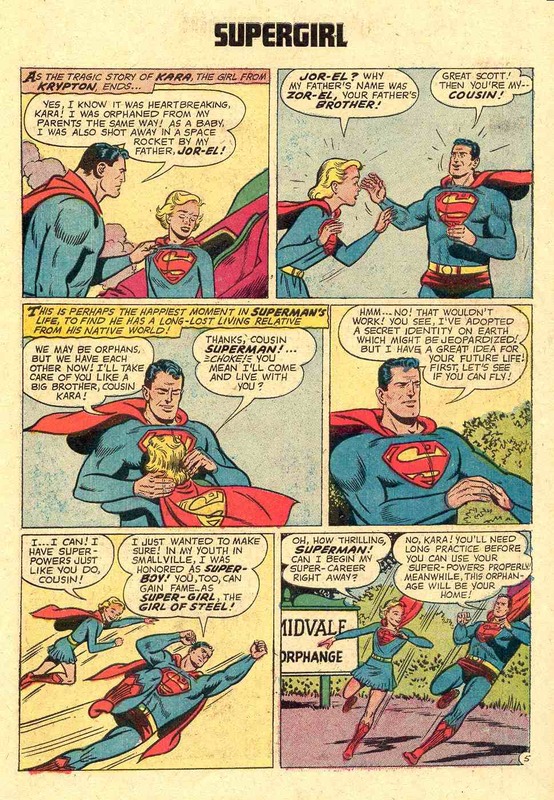 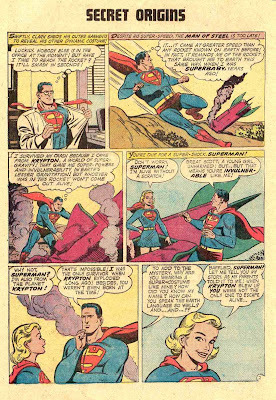 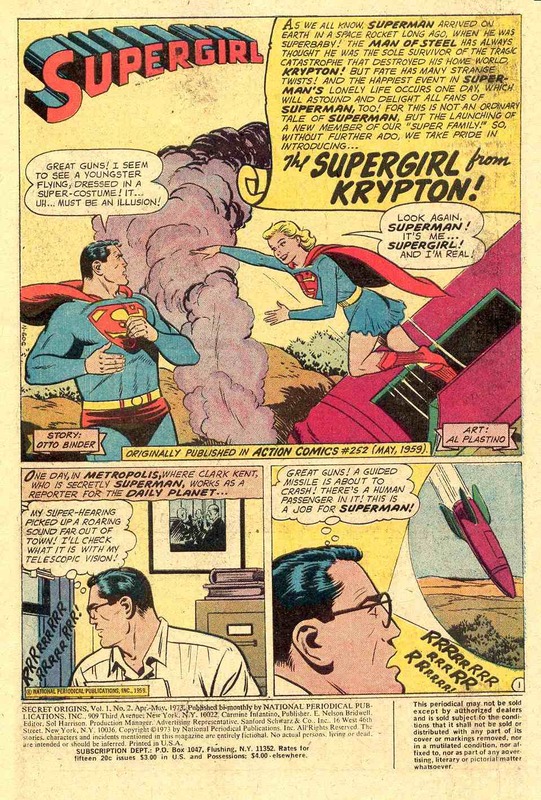 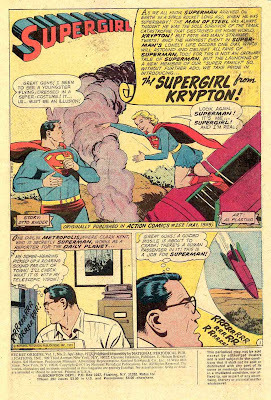 Secret Origins v1 #2: "The Supergirl From Krypton!" 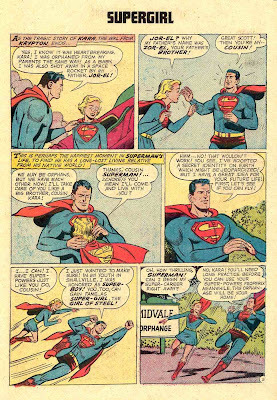 "Nostalgia is like a grammar lesson: you find the present tense, but the past perfect!" 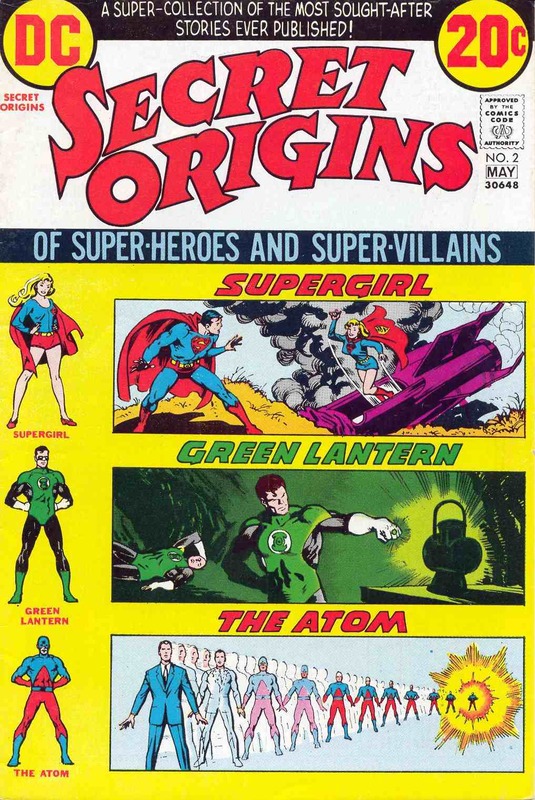 The gorgeous cover is by the very underrated Nick Cardy while the story "The Supergirl from Krypton!" 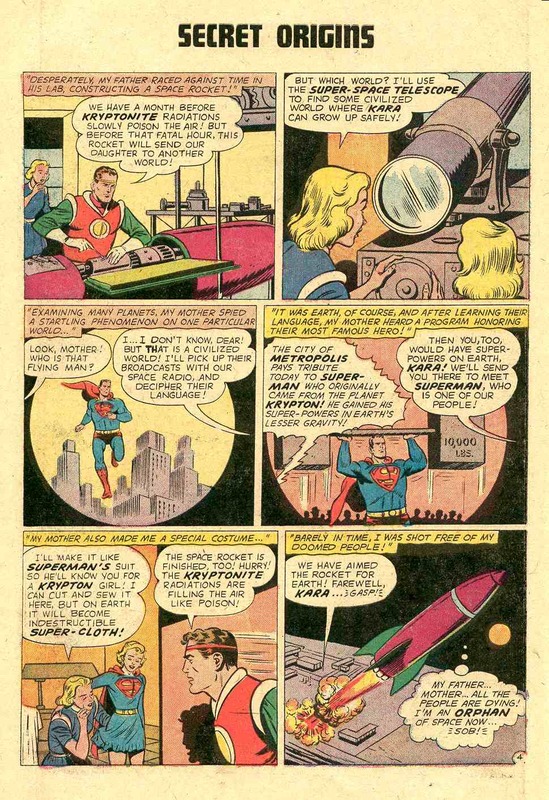 was written by Otto Binder. 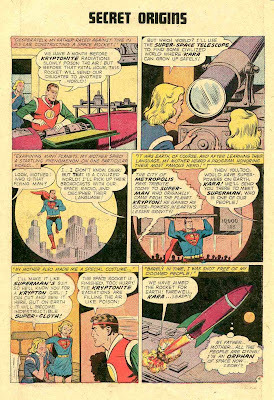 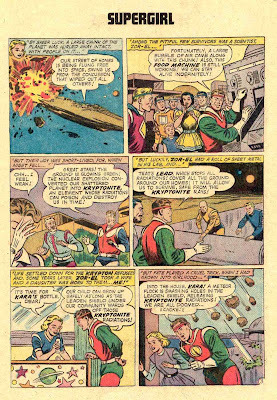 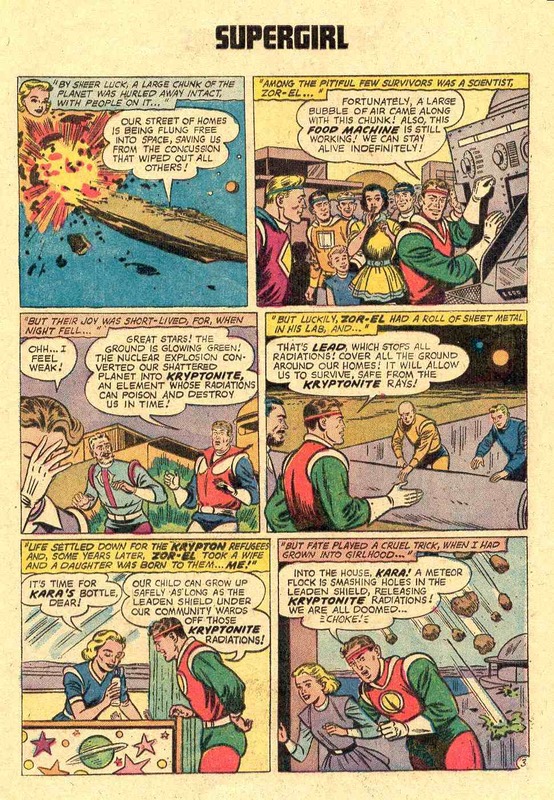 Pencils and ink are courtesy of Al Plastino and Mort Weisinger was the original editor.